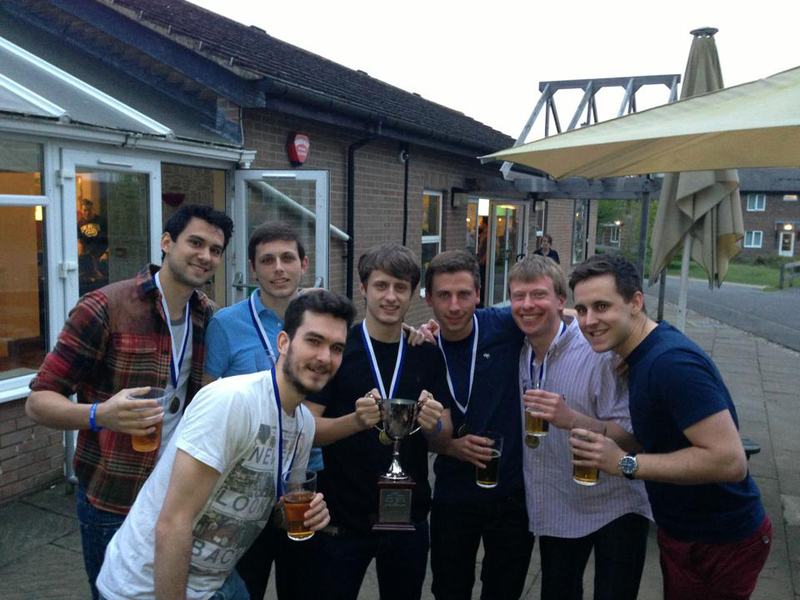 Saturday 5th May saw Kent Sport host their annual Inter College Football 'Old Boys' tournament, where alumni and current students compete in a 5-a-side format of the game. The Canterbury campus welcomed back seventeen alumni teams from as far back as ten years ago, with 'Old Boys' making up the majority of the twenty two overall entries. The final was an all Keynes (F.C.) college affair, with the League Champions of 2006-07 and 2009-10 competing for the Cup. The class of 2009-10 ran out eventual winners with a 1-0 victory (goal scored by Luke Phillips), having played the whole competition with only five players and no substitutes. Matthew Johnson (Keynes F.C.) won Player of the Tournament with Dom Beattie (Park Wood Rangers) winning the Rolling Back the Years award for his nostalgic antics! Thanks must be extended to event partners Kent Hospitality and Kent Union, as well as the Kent Sport staff who all helped to make the day a big success.